Rebecca Clyde, Private Sector ATHENA Award recipient. From a young age, Rebecca Clyde set herself apart by pushing the boundaries and creating a legacy that exceeded the expectations set before her. Rebecca could easily be cast as the “most interesting woman in the world”, due to living in Costa Rica, Chile, Argentina, Paraguay and currently Arizona. However, Rebecca is more than a world traveler and marketing guru; she is someone who enhances the world she lives in, constantly inspiring any community she lives in. As a mother of three and co-founder and CXO at Ideas Collide, Rebecca has collected plenty of personal and business experiences. For most people, it would be a lifetime’s worth. But for her, this is just the beginning. Rebecca’s adventurous youth helped her gain a better understanding of the world, helping her to become the marketing maven and dynamic and compelling business woman she is today. From meeting Dictator Augusto Pinochet in Chile to training for 17 years as a ballerina, Rebecca’s experiences have allowed her to become a leader that impacts the lives of everyone she interacts with. 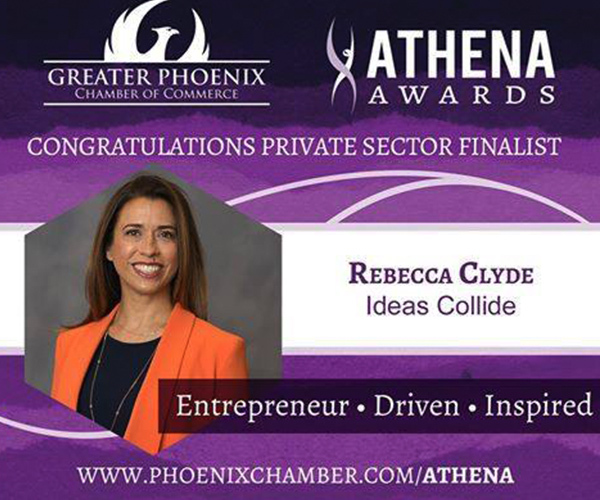 With her dynamic background and inclusive leadership style, it is no wonder Rebecca was named this year’s Athena in the Private Sector by the Greater Phoenix Chamber of Commerce. 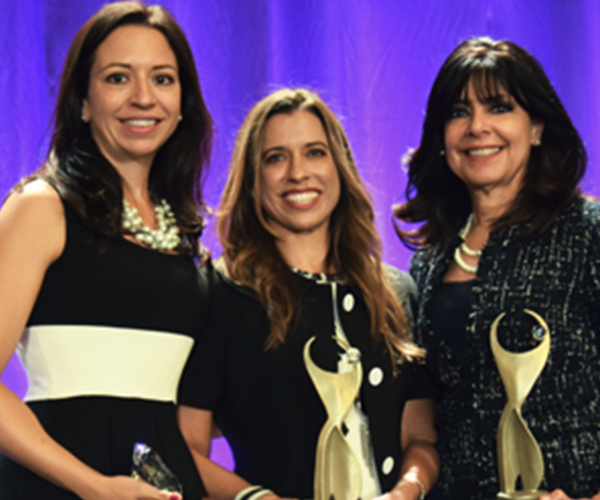 "Rebecca is an inspirational voice not only to the business community, but to the state of Arizona as well." Rebecca is an inspirational voice to the business community and state of Arizona. Her hard work and dedication has been recognized throughout the community, earning her: on the list of “35 Entrepreneurs 35 and Younger” published by The Arizona Republic; recipient of Arizona Governor’s Mentorship Award; and recipient of the Big Sister of the Year recognition from Big Brothers Big Sisters of Central Arizona. By signing up, you agree to subscribe to the Ideas Collide newsletter and to receive future marketing related emails. You may unsubscribe at any time. © 2019 Ideas Collide, Inc.